Super Savings! 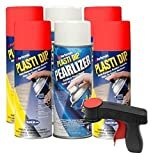 Up to 36% off on Top Coats at Syl Shop. Top brands include Plasti Dip, POR-15, SEM, U-Pol, PlastiKote, Dupli-Color, DipYourCar, & TRANSTAR. Hurry! Limited time offers. Offers valid only while supplies last. 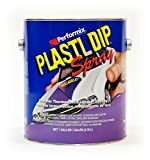 Plasti Dip Performix 11221 Gun Metal Multi-Purpose Rubber Coating Aerosol - 11 oz. POR-15 42606 Black Caliper Paint - 8 fl. oz. SEM 62253 Tan Ez Coat - 12oz. 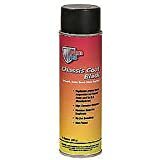 POR-15 41318 Black Chassis Coat - 14 oz. PlastiKote T-33 Gloss White Lacquer Paint - 12 Oz. Dupli-Color CWRC300 Custom Wrap Removable Coating - 14 fl. oz. 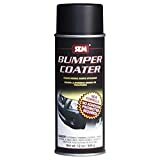 SEM 39083 Gloss Black Bumper Coater Aerosol - 12 oz. Transtar 4303 White Tex Coat - 16 oz.